Florida law encourages the timely settling of estates after death. Although the probate process may be started at any time, once a person has been appointed to administer the estate, various steps must be completed efficiently and in accordance with a strict set of statutes. These time limitations apply to notifying beneficiaries and creditors and specify how long you have to collect from the estate before assets will be considered unclaimed and become the property of the state. Probate is the process by which a deceased person's assets are distributed to named beneficiaries if there is a will, or according to Florida law if there is no will. There is no specific time limit for opening probate in Florida, provided all property taxes are kept current. However, practical concerns may make it difficult to administer a very old estate. For example, if a will is probated decades after a person dies, it may be impossible to locate the beneficiaries. 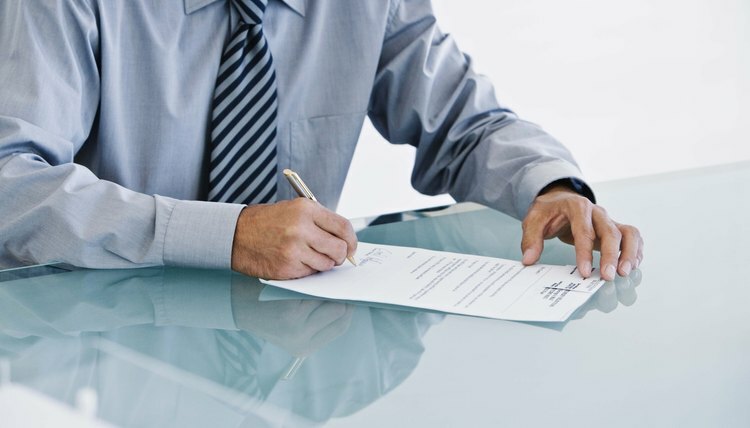 An important part of the probate process in Florida is the appointment of a personal representative. State law requires that this individual be over 18, mentally competent and not a convicted felon. If a representative is not named in the will or does not qualify, the court will appoint someone. After appointment, the representative must send a copy of the notice of administration to all known beneficiaries. The beneficiaries then have three months to object to the appointment, challenge the validity of the will or dispute the authority of a particular court to hear the case. As part of administering the estate, the personal representative must notify all of the deceased person's known creditors in writing, as well as publish notice in a newspaper for two weeks. The creditors then have 90 days to present their claims, after which the remaining assets will be distributed to the beneficiaries. If property is held in a trust, it can pass without probate. However, if probate is avoided, Florida law gives creditors two years after the person's death to make claims against the estate. Spouses in Florida are entitled to 30 percent of their deceased spouse's probate estate. This is known as the "elective share" and requires the spouse to make the request to the court in a timely fashion. In Florida, the election must be made within six months of receiving a notice of administration, or within two years of death if no notice is provided. In cases where a beneficiary cannot be found or refuses to accept an inheritance after being notified, the property is deemed unclaimed. Unclaimed property is to be sold and the cash delivered to the court. If the total value is less than $500, the court will post notice at the courthouse for 30 days. If more than $500, notice will be published in a newspaper for two months. If the property remains unclaimed for an additional six months, it is transferred to the state for deposit in a school fund. Any interest accrued will be used to support Florida schools, but the beneficiary has 10 years to claim the principal. After that, the funds become state property and may not be claimed.